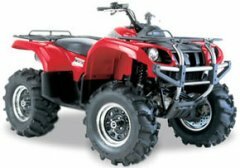 By NHPROEQUIP, October 17, 2017 in ATV For Sale? Post it here. Indoor and Outdoor Zmodo camera pack $75. Bought 2 of these and run them through the meshare or zmodo app. I want to get teh NVR setup and find that these cameras work pretty well. Amazon echo dot 2nd generation, 2 of these. I also have an apple tv and a chromecast I don't use.